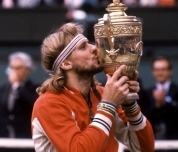 BjornBorg had the most liked content! Really good write-up that will help many. Thumbs up. Demirsoy has been a good bet for a while but I feel he is stepping it up in terms of results even more lately. Do you know how many patients he does a day? The result of the asian-american guy is quite something. I thought he looked a hopeless case with the thin sides and everything. Very impressive! Looking forward to following this case. How did it go today? I think he is 3.5 Euro per graft. Probably the most expensive in Turkey but it's because he does everything himself and he does only 500 grafts per day. Seems like thick hair but with a naturally high hairline. I had the same situation at age twenty. I did the mistake of keeping it long until 31 and sometimes with a tight pony tail. My advice would be to keep a short and proper haircut. It's better to combat hairloss (traction alopecia+mental stress from seeing long hairs everywhere) and it is also a better style if you have a high hairline but still thick hair. You can cover your hairline and have the appearance of a great head of hair. The obvious one is Dr Keser. At least from the results I've seen and his reputation as a whole. That is quite a lowering of the hairline. Will make a world of difference for you when it hopefully grows in. Very interested in this one, please remember to update us along the journey. And thank you for a great write-up. How many grafts do you have left in your donor, did you get an estimation from the Dr? Also what's the status of the grafts that were put in your beard? Sorry if these questions have been answered already. Yeah, it looks great. Tell him to keep the beard too, suits him well. Judging from those pictures it is a splendid result. Is Dr Wesley the only doctor who incubates the follicles in PRP? Or are there others who do this too? Anyone know? Yeah I get that. It's in flattering light but it's a picture of you with no fibres and no photo filter. You wouldn't be able to pull off a pic like that with your old hairline. Great to hear that you are happy! Cleaning your face with alcohol a few times a day? Just a heads up that it might dry your face up and make you look much older. Very true and we thank Kraistoff for his honesty. Sometimes vanity can get the best of you when you post result pictures and that can be a huge disservice to those of us who are in the research process. Thank you for a detailed write-up. You had a lot to cover with just 3200 grafts but it looks like the coverage is there. The front isn't as dense as one could hope for right now but hopefully it will continue to get better. Please let us know of the development in a couple of months. Will be interesting to see how it looks when the frizzyness settles.